A major Lifetime movie event—the novel that captured the world's imagination and earned V.C. Andrews a fiercely devoted fan base. Book One of the Dollanganger Family series. They were a perfect family, golden and carefree—until a heartbreaking tragedy shattered their happiness. Now, for the sake of an inheritance that will ensure their future, the children must be hidden away out of sight, as if they never existed. Kept on the top floor of their grandmother’s vast mansion, their loving mother assures them it will be just for a little while. But as brutal days swell into agonizing months and years, Cathy, Chris, and twins Cory and Carrie realize their survival is at the mercy of their cruel and superstitious grandmother…and this cramped and helpless world may be the only one they ever know. Book One of the Dollanganger series, followed by Petals in the Wind, If There be Thorns, Seeds of Yesterday, and Garden of Shadows. CATCH THE FILM ON LIFETIME JANUARY 18! One of the most popular authors of all time, V.C. 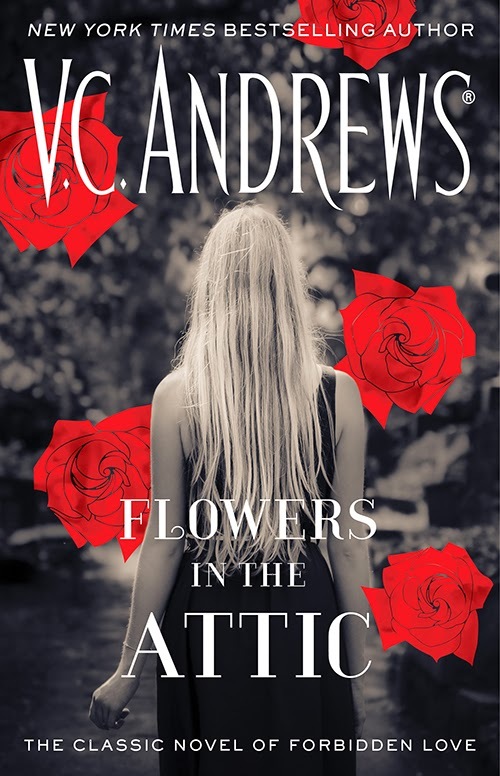 Andrews has been a bestselling phenomenon since the publication of the spellbinding classic Flowers in the Attic. That blockbuster novel began the renowned Dollanganger family saga, which includes Petals on the Wind, If There Be Thorns, Seeds of Yesterday, and Garden of Shadows. Since then, readers have been captivated by more than sixty novels in nearly twenty bestselling series. V.C. Andrews’s novels have sold more than 106 million copies and have been translated into twenty-two foreign languages. When I read this book in Grade 8 English, it was mandatory reading. It was also the book that catapulted my love for suspense & mystery. I'm glad I read it then and am glad to have re-read it now. Have to admit, I find the impact of the story much different now as an adult and a parent. When I was young I didn't grasp the whole story but now as a mother I get it. My view has changed and stayed the same. I loved it then and love it now even more. I got real angry reading this time around. Angry at the parent and source of apparent safety, (the mother), and the grandparent, (the grandmother). I still can't fathom how they could hurt, violate, and make these children suffer. That anger also reinforced how great this story and the writer is. To make me feel the way I do and bring those emotions in me when reading, that's why V.C. Andrews is and always will be a favorite of mine. Ever! My only gripe would be liking the old, original cover better. I am definitely gonna catch the film. I sincerely hope it does the book justice. I think I was in college when this was first published so I was too busy studying to read popular fiction at the time. Still not sure it's a book for me but I hope the movie stays true to the book and you like it! I'm looking forward to watching this -- Ellen Burstyn will be excellent as the grandmother! I've read a few of VC Andrews' books, but it's been a long time. The movie will probably kick off another round of reading her! I left a comment here but don't see it yet?? Mandatory reading, really? It was guilty pleasure reading for me way back when. Also felt the same as you when reading it in the 80s and re-reading it now.